Chick Vacations: Which Bluetooth Headphone Will I Like? Which Bluetooth Headphone Will I Like? All over the world you see people walking with headphones on jamming out while working out, or tuning out the world on their way to work. Sometimes these people even looking a little cray cray because they are wearing a tiny earbud that you can barely see. They look like they are talking to themselves but are actually having a conversation on their phone. The best thing is that almost everything is Bluetooth enabled today or at least has a Bluetooth option so you can go cord free! 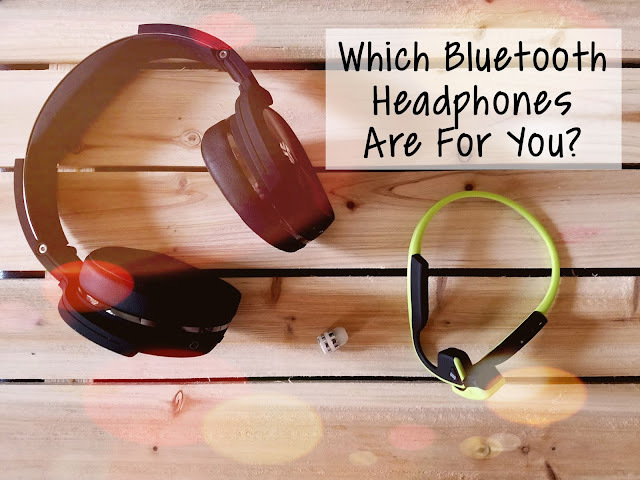 The real question is how does one decide on which Bluetooth headphones works best for you since there are so many styles, sizes, and colors? What if I said it is okay to have a few different kinds because different activities require different headphones? As I tested out these three different headphones/earbuds out I realize that each one has something special the others may not have but one did come pretty close to being perfect. Disclosure: Links provided below are affiliate links, which means that I can make a small commission of any items purchased from Amazon. This allows me to support my family and continue producing great content for you guys. Rowkin does some fine work with earbuds making them first of all very capable for virtually any use and stylish too. They sent me a Mini Plus+ to checkout and while I wish they would have sent two (one for each ear) it was good to see what it was like with one and I actually think having just one of these is enough for most people and has a purpose. Music sounded great and it was nearly weightless, to the point where I forgot I had it in when I was not playing music or answering my phone. I really liked the fact that I could walk around with one ear open to the real world, while still easily connect to the digital one through Bluetooth to Siri or your Google Assistant. The housing capsule for the earbud also can charge your earbud two times so that was very nice as well! However, I was disappointed by the fact that it only has a 2-3 hour music/talk time per charge. I understand that for many compact Bluetooth earbuds this is standard so they can save weight. Unfortunately for me, I am one who forgets to charge so at least I have the charging capsule right? The other disappointment is when I did my calling test on it. My experimental method was calling my father who has a hard time hearing so he is the one who rated the call experience (very scientific I know). The Rowkin Mini Plus + was "very tinny" in my dad's words and had trouble making out words. This was of great disappointment since it is so light it would be easy to walk around with all day answering business calls with. Verdict: The Rowkin Mini Plus+ is perfect for a quick walk or jog around your neighborhood because with only one earbud you can hear what is going on around you as well as your music. Ladies, I beg you not to wear noise cancelling headphones or dual earbuds with the music up when alone because it makes you are target to theft or even sexual assault. I do not want to leave the Men out because the same could happen to you! I would say the major plus for these earbuds are the size design, and if you only have one in you still feel connected to the world around you. The Trekz Titanium are the exercising in the outdoors headphones you have been waiting for! They are so light and just go over the ear. Trekz Titanium uses bone conduction to transmit your music to you. Bone conduction is the conduction of sound to the inner ear through the bones of the skull and thus makes a great pair of headphone is you have impaired hearing as well. Getting connected to the headphones was easy and once I turned my music on it was heaven! Very clean and clear music coming through yet I could still hear what was going on around me without feeling distracted. You can get these headphones in a variety of bright colors which is good because they are so light I feel like they will fall off and I won't know but if I did lose them I would be able to find them easily. FYI they have not come off my head but I am not a runner either so I can not comment on that part. Verdict: I love the Aftershokz Trekz Titanium! They did very well in the calling test. My dad said I sounded clearer than when I usually hold the phone so that is a major plus for me. I can wear them around the house answering calls and listening to music but still hear my loving husband call me if he needs me. The battery life is also awesome with 6 hours of continual music or calling on a single charge. This is definitely good buy! While at CES in January, I came across this company that is actually headquartered in my neck of the woods called JLab Audio. One of my objectives this year was to find a pair of noise cancelling headphones that would not hurt my ears. I wear earrings everyday and most of the on the ear headphones cut into the earrings and cause pain or just do not fit my ear well. These headphones are so comfortable because they are actually going over your whole ear and not putting any pressure on your ears themselves. Now listen up! These headphones are called Flex because you can use a detachable wire or Bluetooth. 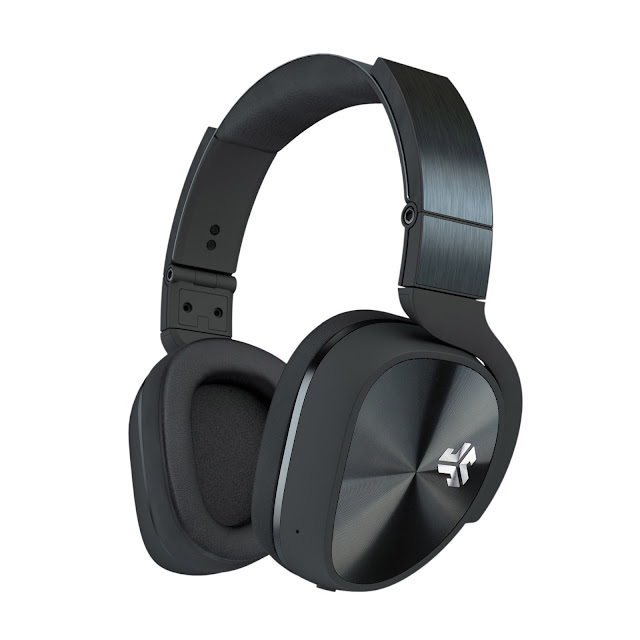 If you have them wired up you get 60 hours of time with active noise control (anc), 30 hours of Bluetooth only time, and 10 hours of usage with Bluetooth and (anc). WOW! These headphones also have superior call sound. My dad said I sounded the best when calling him on these headphones. I have worn these already on a flight from San Diego to Dallas and they were perfect. I could not hear all the extra plane noise and the audio from my movie was clear and easy to understand without having to turn things up loud like I would have normally. Verdict: These are amazing especially for the price point! Many headphones that do not even come close to offering what these do and are much more expensive and not as good of quality in build and in sound. These are very comfortable because JLab took into consideration how and wear headphones should be placed. I can see myself wearing these for years to come and the versatility with being able to use the wire when I need or want to is awesome. I would hands down recommend these headphones to all. Overall, Bluetooth headphones really make life so much easier and enjoyable without being attached to a cord. It is okay to have more than one set of headphones for different activities. For outdoor exercise the Trekx Titanium is #1 but for overall quality, cost, and versatility the JLab Flex can not be beat.